Hundreds of First Nations protesters waved flags, chanted slogans and shook a collective fist at the federal government as they gathered on Parliament Hill to put Canada on notice they would be "idle no more." 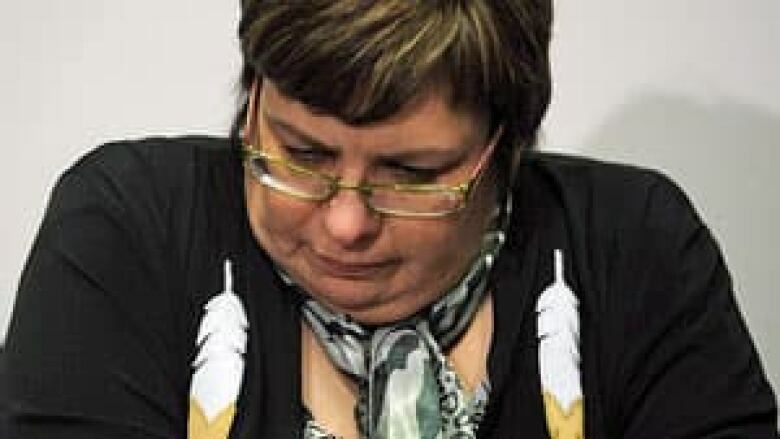 More than 1,000 protesters, a group stretching several city blocks, marched through the streets of the capital Friday after meeting with Theresa Spence, the chief of northern Ontario's troubled Attawapiskat First Nation, who is on a hunger strike. National Assembly of First Nations Chief Shawn Atleo addressed the crowd, saying, "The year 2013, it harkens a moment of reckoning in this country." He told the young activists gathered on the Hill that they they were "the change that we’ve been waiting for" and also called on Canadians to support the growing movement and its quest for Ottawa's recognition of aboriginal treaty rights. "We reach out to Canadians," Atleo said. "We want you to understand that the Department of Justice, that the federal government, that so many governments over so many years, they stand on a principle that is unacceptable." "Canadians, we are counting on you to stand with us and to do this now at this juncture in history," he added. "We are tired of having the boot put to our head," Algonquin Chief Gilbert Whiteduck told the gathering beneath the Peace Tower under a steady barrage of snow. "We want the government of Canada to come to the table in a spirit of unconditional openness and transparency." Other rallies were held in various cities across the country. Demonstrations in support of Spence's cause also took place in the United States. Hundreds of people briefly blocked one of the busiest intersections in Toronto in solidarity with Idle No More, a grassroots aboriginal protest movement gaining traction on social media. Several Manitoba First Nations groups also rallied at the Winnipeg International Airport, congesting traffic. In Montreal, more than 100 supporters of Idle No More gathered peacefully in Cabot Square, while dozens of members of the Listiguj Mi'gmaq community blocked Highway 132 and slowed traffic on the interprovincial bridge that connects Quebec to the Maritimes. Idle No More organizers oppose the Harper government's recently passed omnibus budget legislation, Bill C-45, and accuse the Tories of trampling on treaty rights. Julie Vaux, a spokeswoman for Harper, said the rallies did not change the government's position. The Conservatives insist they are taking strong action to address aboriginal concerns. As recently as Nov. 28, Harper and Aboriginal Affairs Minister John Duncan met with Assembly of First Nations Chief Shawn Atleo and others to review progress to date and discuss a range of issues, Vaux said. "Our government hosted an historic gathering of the Crown and First Nations this past January," she also noted. "Since then, the government has been working with First Nations leadership to make progress in several areas, most notably education and infrastructure on reserve." For First Nations people, however, that progress has been far from enough. And many see Spence as a warrior standing up for all Canadians. Spence has been on a hunger strike since Dec. 11, living in a tipi on an island in the Ottawa River that many aboriginals consider to be sacred land. Atleo met with her Friday and said she appeared weak from 10 days of ingesting mainly water and fish broth. Atleo joined demands for the government to intervene on Spence's hunger strike and highlighted her importance in the Idle No More movement. "We know who is leading this movement. It is the women," Atleo told the crowd in Ottawa. "And so men, when a woman like Chief Spence says it is time to work together, it is time to be unified, it is time to be idle no more, we better listen." Shelly Young, an aboriginal activist from Nova Scotia, wept during a panel discussion Friday in Halifax as she spoke of how Spence is inspiring others. "She is a warrior in our eyes because she's standing up to the government, she's saying the pain is too much," Young, 30, said in an interview. "I think sometimes we have to do the extreme to get the attention of the government, because they're ignoring us." Atleo told CBC News Friday evening that he had not yet received a reply from the Prime Minster’s Office about meeting with Spence. Protesters in Nova Scotia also held a peaceful demonstration along Highway 102 in the Truro area, causing about eight kilometres of traffic gridlock. The Canadian Auto Workers and civil service unions across the country have also shown support for the movement, saying they stand in solidarity with First Nations in a struggle against Bill C-45. Spence did not take part in the Ottawa rally, but on Thursday, she wrote to Harper and Gov. Gen. David Johnston, urging them to start a national discussion about poverty in First Nations communities.